The general African way of women organising themselves in groups, with the number of members ranging from tens to hundreds, also occurs in Senegal. An active and strong women's group seeks to ease its members' everyday life amidst poverty, and to guarantee them a reasonable 'social security'. 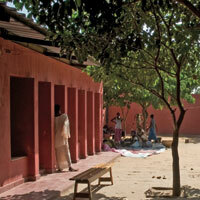 Women's level of schooling is improved through independent initiatives and literacy courses. 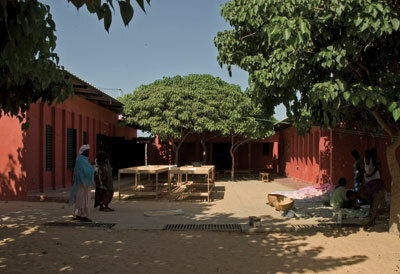 The organisations supplement their income by selling home-made food and needlework. 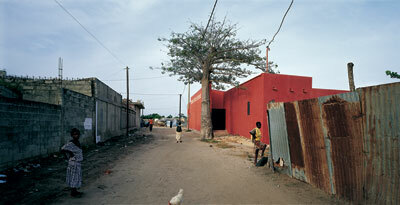 They also assist women to adapt to the change in their life when they move from the countryside to the city. The women's groups are structured organisations, which is a step forward from the traditional social network created by family and friends. 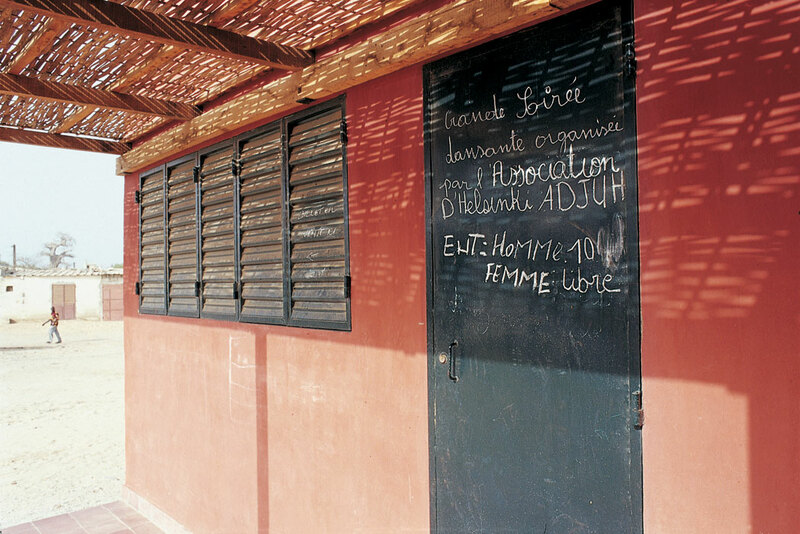 The women's centre, built in a suburb of Rufisque, offers facilities for the activities of the various organisations formed by the women. 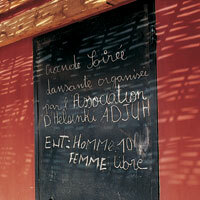 The idea and the spatial programme of the centre were born in co-operation with local women's groups. 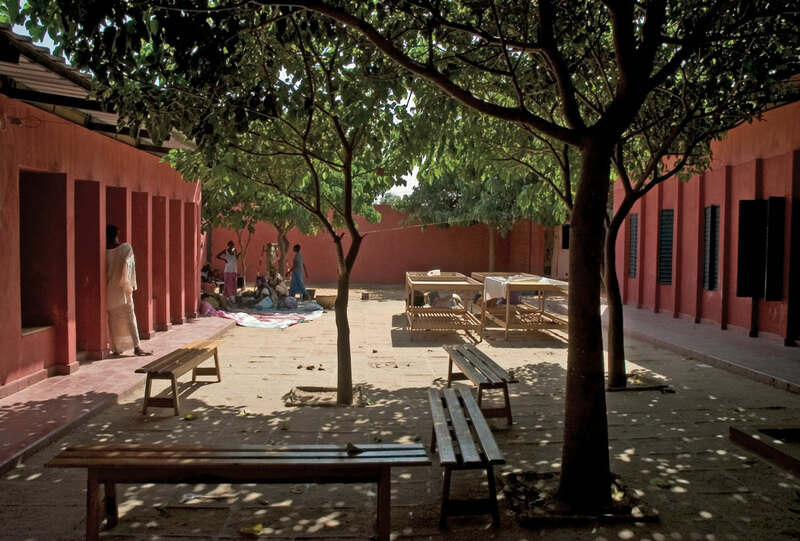 The building was carried out as an NGO project through 'Tekniska Foreningen i Finland', and was financed by the Finnish Foreign Ministry, the Senegalese-Finnish Association ARC, as well as by scholarships received from various foundations. 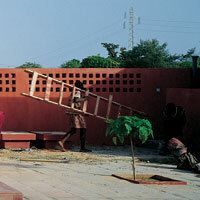 The plot was donated by the city of Rufisque and donations were also received from locals. 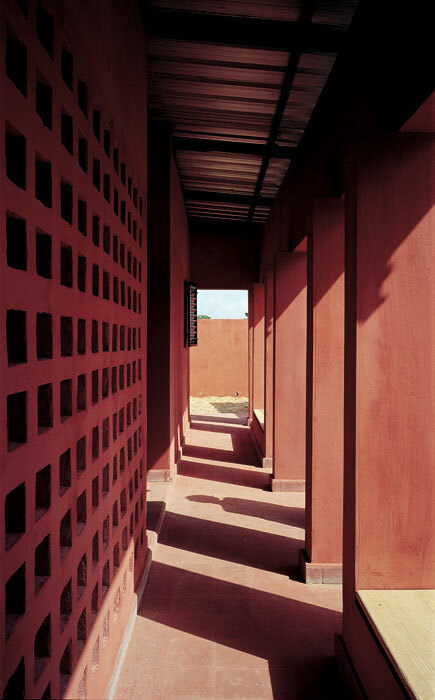 According to the west African custom, the building is grouped around an internal courtyard; the line between private and public is clear but flexible. The simplicity of the street facades adapts the building to its surroundings; the corner facing a road crossing forms a small public square where the facilities reserved for trading are located. 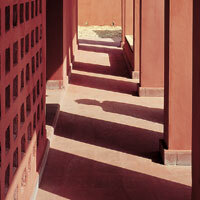 The building's red colour gives the house its own identity amidst the general grey tone of the city blocks. The building frame is a cast-in-place column and beam structure, with the walls made of concrete blocks cast in a mould and dried on site. The roof is corrugated metal sheeting supported by a system of steel beams, with thick woven straw matting forming an insulating ceiling structure; the space between is ventilated, which guarantees that the air indoors is kept pleasantly cool. The choice of materials emphasises localness and recycling; for instance, wood is used only in places where it no other material could be used. In detailing, old car wheel rims are used as ventilation holes and the bottoms of old glass bottles for windows. 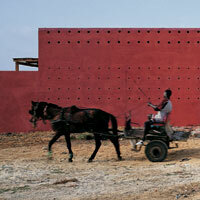 The reinforcement irons in the concrete are made of recycled iron. The centre was completed in October 2001. Hundreds of people participated in the opening festivities and the atmosphere was happy and relaxed; the building received its guests with open arms.